The bright orange color of your childhood will no longer come from a synthetic source: After removing controversial dyes from some kid-targeted macaroni and cheese products, Kraft is following suit by nixing synthetic colors and artificial preservatives from its Original Macaroni & Cheese in the United States, with Canada to follow later. Starting in January 2016, Original Kraft Macaroni & Cheese will get its familiar orange hue and cheese-ish flavor from ingredients like paprika, annatto and turmeric, Kraft says in a statement, instead of Yellow 5 and Yellow 6. Shapes Cups, Original Cups, Premium Flavors and Easy Mac will have no artificial flavors, preservatives or synthetic colors later next year. The company says the change comes in response to what customers want, after apparently sitting around watching people make boxed dinners at home. “We’ve met with families in their homes and watched them prepare Kraft Mac & Cheese in their kitchens. They told us they want to feel good about the foods they eat and serve their families, including everything from improved nutrition to simpler ingredients,” said Triona Schmelter, Vice President of Marketing, Meals, in the prepared statement. So why the gap between removing dyes from three kid-targeted meals to the original box in blue? Kraft says it had to work out a recipe that would still taste same, which is always a battle for companies that want to update their products but don’t want to inspire the wrath of loyal customers who may be resistant to any changes. 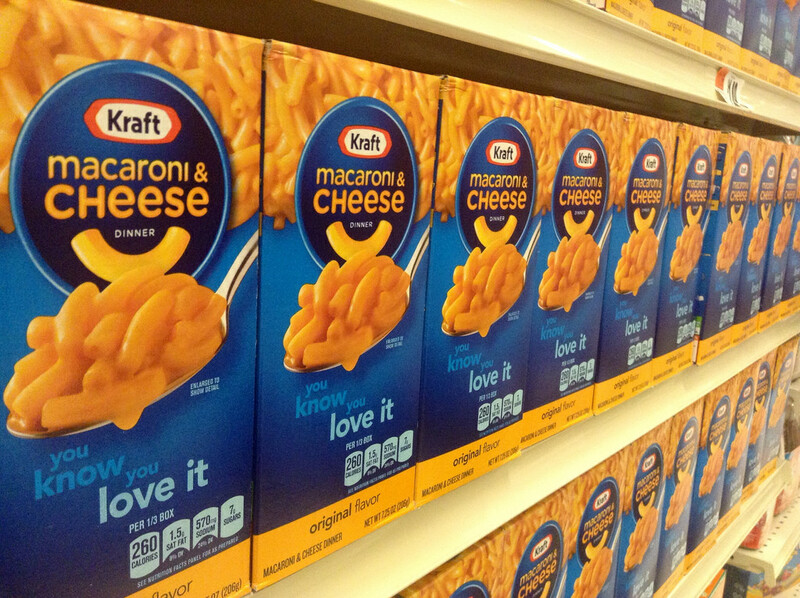 “We weren’t ready to change the product until we were confident that Kraft Macaroni & Cheese tastes like Kraft Macaroni & Cheese,” Kraft said, according to the Associated Press. Michael F. Jacobson, executive director of the Center for Science in the Public Interest, welcomed Kraft’s announcement.